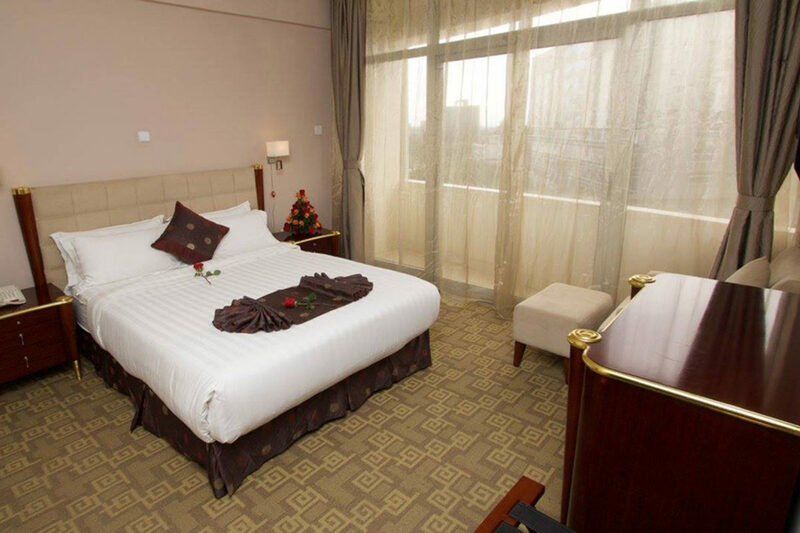 The Washington Hotel is a comfortable four star hotel in the centre of the downtown Bole are of Addis Ababa. 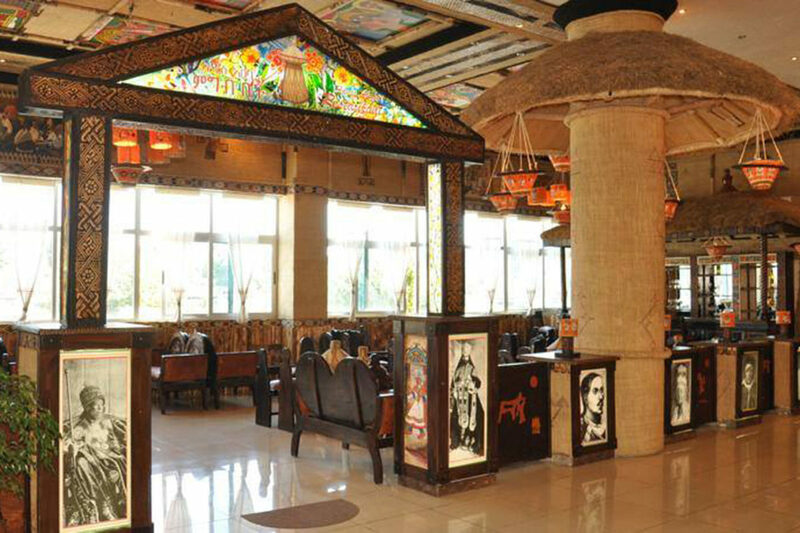 Since 1984, owners Asfaw Amde and Worknesh Getachew established a superb reputation in hospitality management in the food & service industry at their Addis Ababa Restaurant, Washington DC. 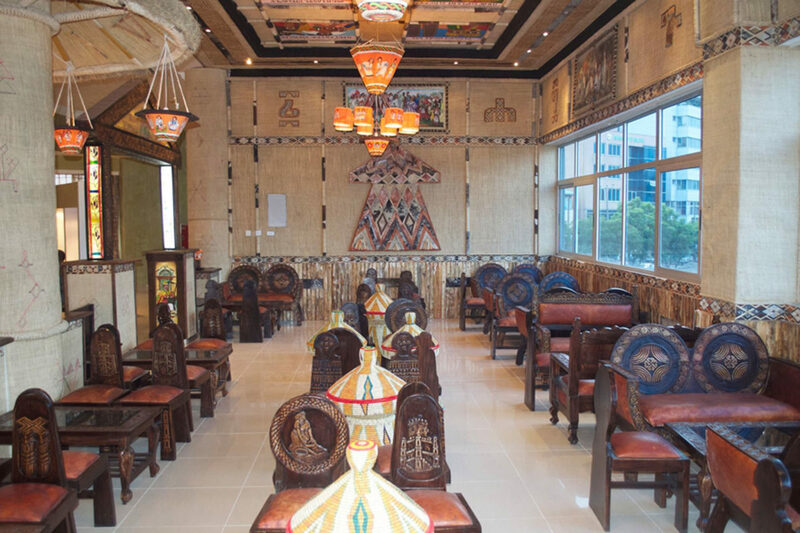 Following the success of bringing Ethiopian cuisine to the states, they decided to upgrde to a hotel, this time bringing Washington back to Ethiopia. 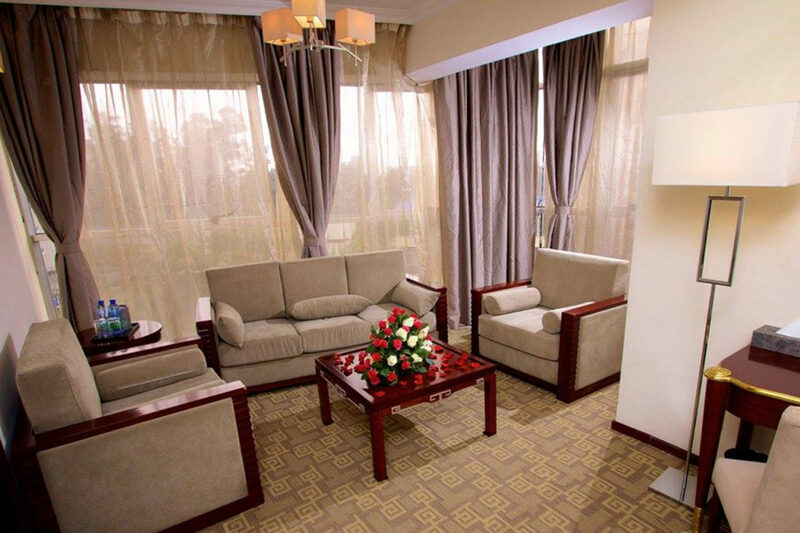 Room options include single and double standard rooms, one bedroom suites and the impressive two storey, five bedroom Presidential suite. 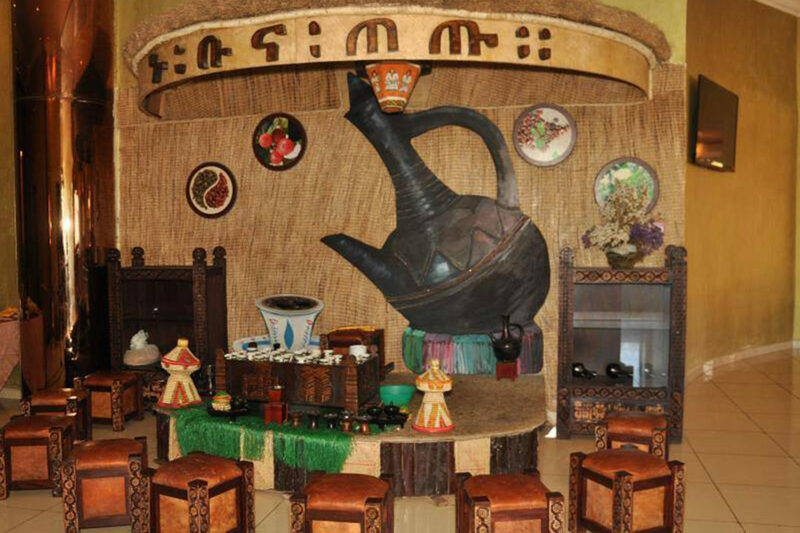 The hotel’s two restaurants have different themes: the District is an international fusion restaurant; whilst the Addis Ababa serves traditional Ethiopian cuisine and a traditional communal Ethiopian coffee hut at which the coffee ceremonies are performed each night. There is also a lobby bar – Chista Lounge – and a rooftop terrace bar and grill with fabulous city views. 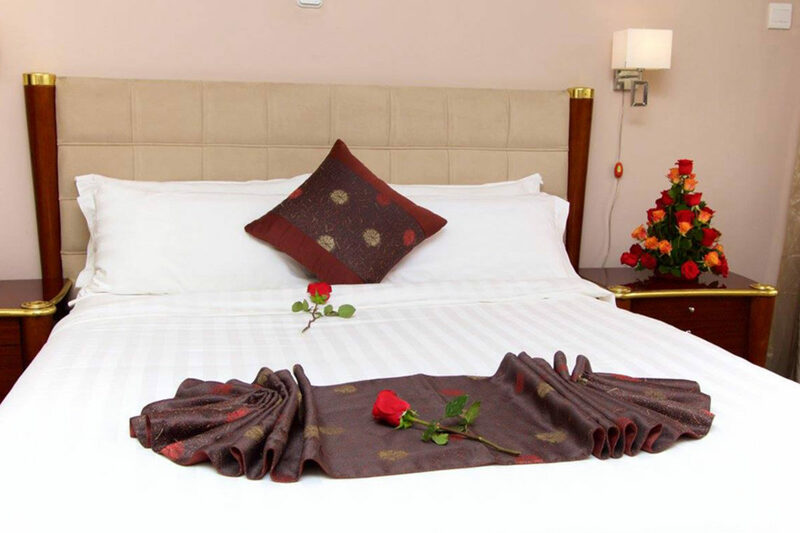 Rooms all provide safety deposit box, free Wi-Fi, mini bar, coffee and tea facilities, iron and ironing board, hair dryer, 24 hour room service, and laundry service. The hotel has two restaurants, two bars, 24 hour concierge, gym, spa, underground parking, business centre, travel desk, gift shop and is accessible for disabled guests. 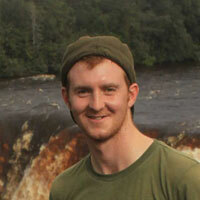 As with all capital cities, there is a great variety of attractions and activities nearby. 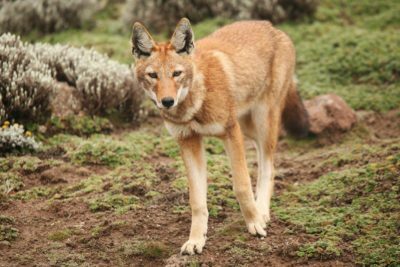 There is a Tour Awash travel guide desk within the hotel lobby, and the staff here is able to direct guests in how to make their most of their time in the Ethiopian capital.